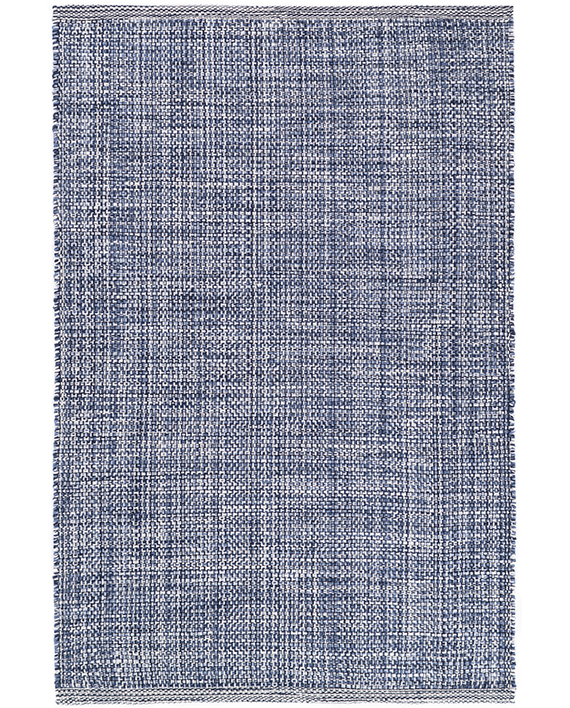 Indigo, grey, and ivory yarns are mixed and woven together to create the unique marled effect of this woven cotton area rug, a perfect fit for the bedroom, office, living room, or stairs. 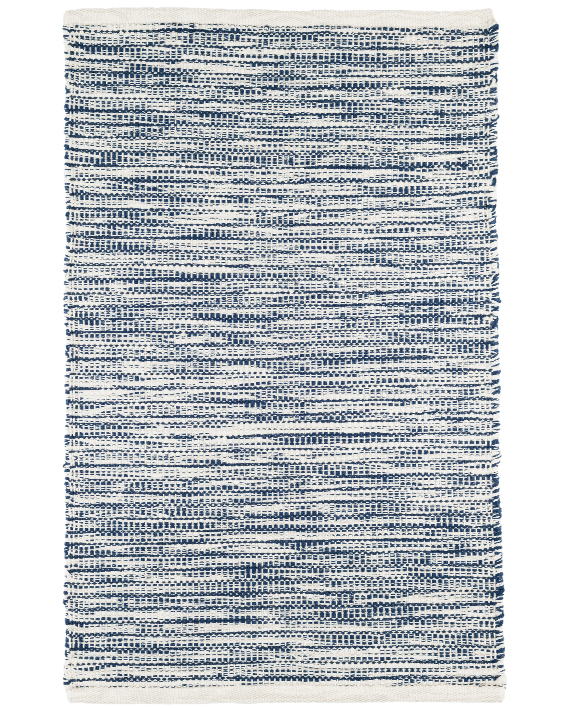 Occasional stray loops of yarn… It is perfectly normal. 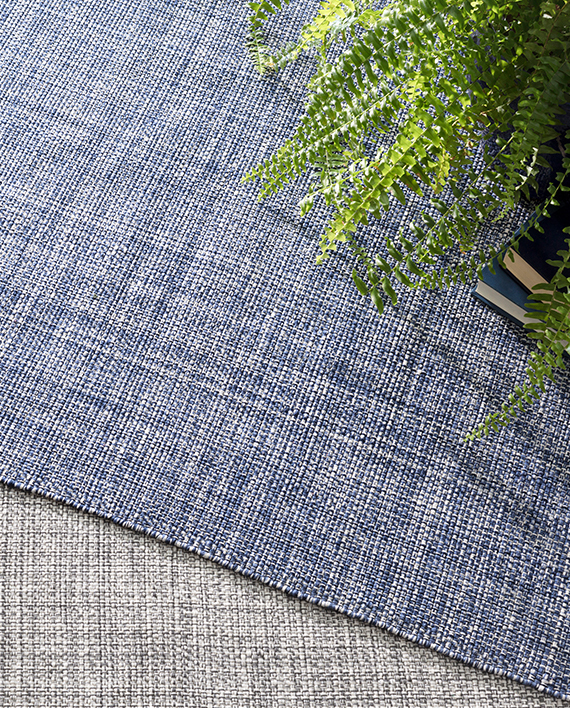 Stray pieces of yarn or loose threads may pop up from our herringbone woven rugs. 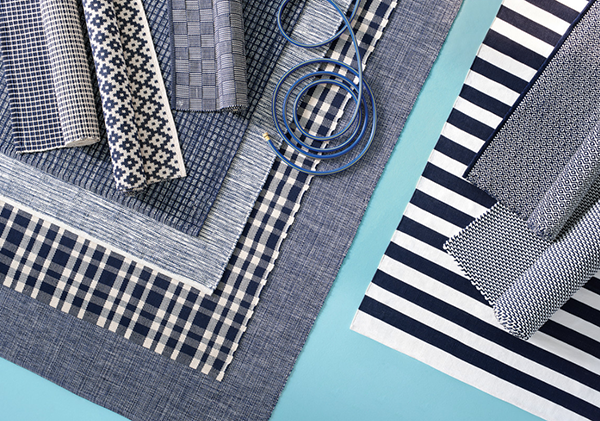 This is perfectly normal and inherent to hand weaving. 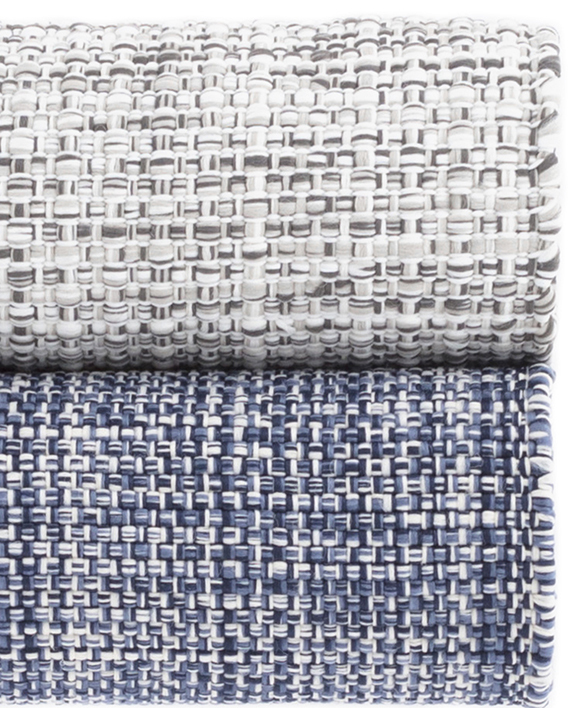 During the weaving of herringbone patterns, there might be loose threads that need be knotted. Knots should not be taken as defective.